 Sorted Surf Shop has a huge range of products for surfers so that you can buy all the accessories you need in one online shop. When you plan to go surfing the most important things are the surfboard and wetsuit but there are a few things that will make your life so much easier when making that trip to the beach. No matter where you surf there are a few things that you should have such as a good board bag and to this end we have a great selection of 5mm day bags which will protect your board from getting damaged either on the roof of your car or just being moved around. They usually have a silver material on the outside which is to reflect the sun away on hot days so your wax does not melt. If you are traveling abroad on a plane then you will need a good board bag of a thickness up to 10mm this will ensure that your board does not get damaged whilst on the plane. Some of the best brands to consider for your surfboard bags are Creatures of Leisure, Rhino and FCS. Quite a few of the brands have really adapted the bags by inserting pockets to store your fins, wetsuits and repair kits. Want To Make Your Surfing Even More Fun? Then you should really consider changing your fins as FCS the largest producers of fins in the world have such a range and variety that it can transform the way your board performs in different conditions. For example changing from M5 fins to M3 will give your the ability to turn tighter and faster. Where as using a quad set up on the board will give you move drive and hold in the wave. In terms of fins there really is so much to chose from that a good deal of research is sometimes well worth doing. Most of the best surfers in the world ride FCS fins and you can see video reviews on how they perform. I personally like to change from a quad set up to thruster when the waves get a little big. Feel free to call us for any advice on and we will do our best to help you out. One of the newest and one of best things to enter the surf industry in recent years has been the GoPro cameras. These HD quality cameras were originally attached to the surfboard so surfers could film the ride. This has progress with the addition of Go Pro accessories so now you can strap the camera to you wrist over even to your head. Some of the action you can catch is from the hand held devises is truly amazing. The worlds best are getting footage inside the barrel that has never been seen before. The GoPro camera range has also been expanded to include the new GoPro HD Hero Black Series which gives the best definition ever seen and the new standard Hero at an amazing £99 so there is something for everyone. What Do You Need To Go Surfing? Well the list is endless if you want everything you could need to make your surfing life as easy as possible. One of the few things you need is a good leash as this attaches to the board and your leg so that you are not having to paddle in and get the board when you fall off. It's pretty much a life savers as well when the surf is big the last thing you want is to lose the board. Good leashes to consider are FCS, O&E and Alder, all of which are double swivel meaning it won't wrap around your leg or coil up. One thing that has also become a must for surfers is a good tail pad, these are designed to give you back foot traction and help you really drive a turn. Some deck grips have a mid ridge or arch this is there so that it molds to your foot giving you all the drive you need. Some of the best brands are Rip Curl, Billabong & Creature of Leisure. A good repair kit is a must when you are traveling and surfing abroad, as the last thing you want is a damaged board and not being able to surf. Repair kits come is two types depending of the construction of your board. The fibre glass boards are the traditional way that a surfboard was made and the kits come as either a sun cure which you apply to the ding or for something a little more comprehensive you have kits that include foam and sand paper. The other type of board construction is epoxy which is lighter and stronger but if this is damaged it really needs to be repaired as fast as possible and a epoxy repair kit will take care of that. Again this is in two types of either sun cure which is applied to the ding and left to cure in the sun or a full kit which includes foam. Soleraz is the best sun dry repair kit that you can buy and ding all are great comprehensive repair kits. Either way if you have any questions please let us know.